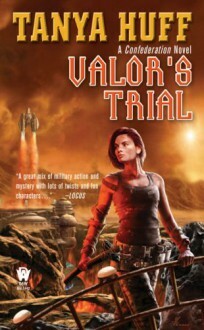 Unexpectedly pulled from battle, Gunnery Sergeant Torin Kerr of the Confederation Marines finds herself in an underground POW camp that shouldn't exist, where her fellow marine prisoners have lost all will to escape. Now, Torin must fight her way not only out of the prison, but also past the growing compulsion to lie down and give up-not realizing that her escape could alter the entire course of the war. I loved it. Fast paced and over way too soon.I really wanna know more about the grey ones.